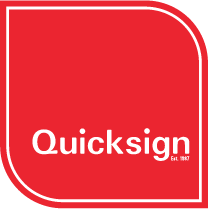 We are committed to giving our customers the highest standard of service, for our signage designand installation. We use only quality materials in our manufacturing. But don’t just take our word for it, take a look at some of our recent projects which include vehicle wraps, exterior wall graphics, window graphics, printed vinyl, stickers, pavement signs, shop signage, magnetic signs, acrylic lettering and engraving to name a few!